Gentle readers, I just wrote my second article for awesome local publication, Concentrate. 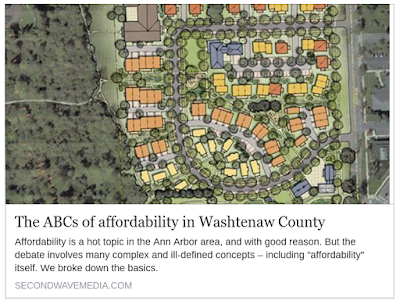 The ABCs of affordability in Washtenaw County looks at some of the terms and concepts surrounding discussions of affordable housing as well as some examples in Washtenaw County. I hope that we are going to start to look at affordability and equity as a community more in the coming months. If you, gentle reader, are starting your own journey in affordable housing, I hope this article is a useful and informative starting point. 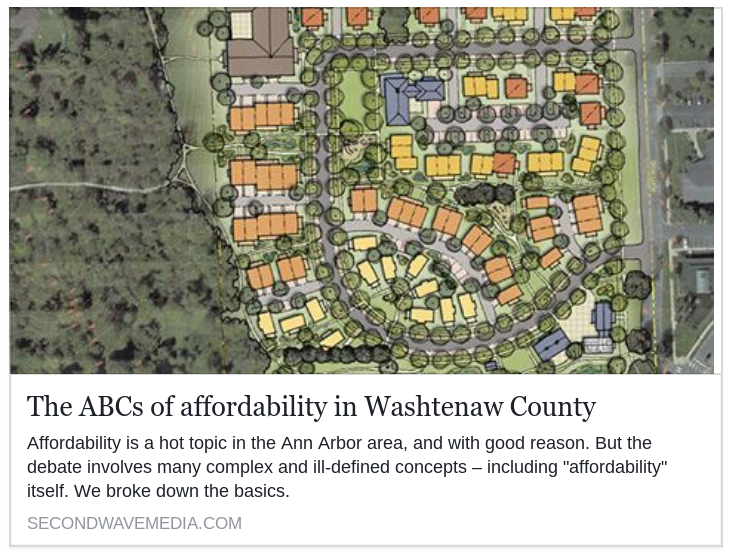 Stay tuned for more articles on housing and affordability.